Yesterday we began this three-part assessment of the Patriots’ draft needs by claiming the offensive tackle, linebacker and safety positions as New England’s highest draft priorities. Today, part two stays in the middle of the field before gradually moving to the perimeter. The Patriots have starters Logan Mankins and Stephen Neal and backups Russ Hochstein and Billy Yates signed through next season. The expected lapse of the salary cap in 2010 may allow the Pats their best opportunity to lock down players like Mankins and nose tackle Vince Wilfork, as this excellent patsfans.com thread from a few days ago suggests. A presumed deal for Mankins still doesn’t help the potential gap opening at right guard, where the 32 year old Neal struggles with injury. Hochstein and Yates are useful backups who can be retained affordably, but the Pats have a lack of developing young players in the middle of the line. New England has been far less hesitant over the latter part of the decade to devote cap space to frontline linemen like Light, Koppen and Mankins, so an early round pick of another mobile, sturdy guard wouldn’t be out of character. Expect someone who projects at more than one position. The Patriots have backup Chris Baker signed through 2013 and starter Ben Watson and backups David Thomas, Tyson DeVree and Brad Listorti through next season. It’s clear that with the Patriots’ spread attack, the tight end position is relied on for its blocking far more than its receiving. New England’s recent commitment to Baker indicates that will continue for the foreseeable future. Though he’s matured with his line play, Watson has never been the receiver many expected he would be. Unless he came cheaply, why would the Pats go out of their way to keep him when they let a better player in Daniel Graham walk? Thomas just isn’t a very good pro player, and the Pats may be better off letting both of them go after 09. Using one of their first six picks on a balanced tight end to pair with Baker would grease the skids for Watson and Thomas. Even a later selection would help. The Patriots have backup Mike Wright signed through 2012, and starter Vince Wilfork and backup Titus Adams through next season. It’s inconceivable to think the Patriots aren’t sold on Wilfork, one of the top 3-4 nose men in the league at a position that is always difficult to replace. But Pats fans know by now that sometimes contract renegotiations don’t go as planned. Even though Wright can play all three line positions, the Pats have left themselves exposed without a true nose to understudy Wilfork. New England hasn’t directed many top choices to the defensive line lately, and with the approaching free agency of two of their three starters, it may be time to reverse that trend. 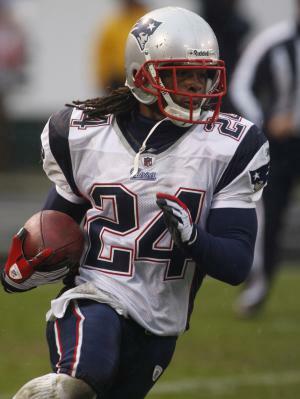 The Patriots have starter Shawn Springs and backups Terrence Wheatley and Jonathan Wilhite signed through 2010, and starters Ellis Hobbs and Leigh Bodden and backup Mike Richardson signed through next season. The Pats have a core of Springs, Wheatley and Wilhite for at least two more seasons, and it sets up like either Bodden or Hobbs will join them with a long-term deal after next year. The position is already in better shape than it was just two months ago, but it’s a passing league with receivers routinely spread across the field. The Pats have tried to deal with this on the cheap for the most part and have failed, and the best compromise may be to continue to use top 100 picks on prospects like Wheatley and Wilhite in an effort to develop long-term starters. The improved picture in the short-term shouldn’t completely postpone their long-range planning at this position. The Patriots have starter Wes Welker and backups Greg Lewis and Matt Slater signed through 2011, starter Randy Moss through 2010, and backups Sam Aiken and Joey Galloway through next season. Any position that boasts both Moss and Welker has to be considered a team strength, but the loss of Jabar Gaffney to Denver creates an opening for a starting receiver in the Patriots spread formations. Galloway, Lewis and perhaps even the underrated Aiken will engage in the short-term battle, but the Pats have little on the horizon besides Slater for developing players. As usual, the draft will feature a handful of potential impact prospects, but receiver is so hit and miss, the Pats may be better off taking a swing at a lesser known player in the middle rounds.